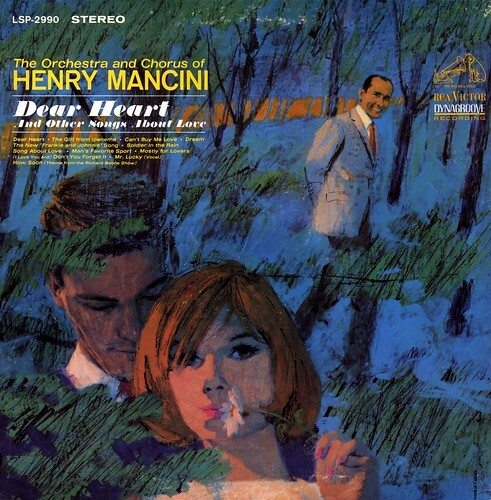 Nothing could be more romantic than wooing your baby in the woods at dusk while Henry Mancini, smiling like a maniac, wanders around in the periphery, snapping twigs under his feet, right? An odd concept for an album cover, to be sure, though it probably made perfect sense at the time. I've come across several covers by this artist and still can't figure out who it is. With all the flair of a doctor writing a script for the druggist to fill, this guy ( girl?) manages to reduce letterforms to an indecipherable scribble. I must have the soul of a cataloguer, because this frustrates the hell out of me. 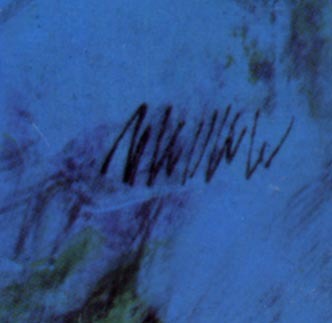 Recognize this signature? Or care to make a good guess? Your suggestions are welcome.